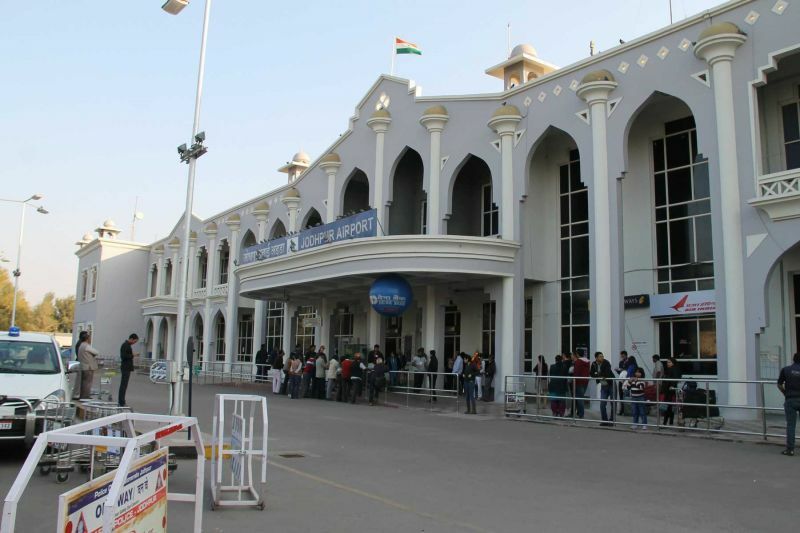 Air traffic at the Jodhpur Civil Airport was affected for nearly an hour today following a fighter aircraft tyre burst, officials said. No damage, however, to the aircraft has been reported but the runway was damaged to some extent. "A tyre of a fighter aircraft got burst on the runway at about 12.25 pm, after which the runway was taken under control by the air force staff," defence spokesperson Col. Sombit Ghosh said. He refused to divulge further details about the incident. However, according to the airport sources, the tyre of the aircraft burst when it was back from a regular sortie and was taxiing. It took Air Force staff about an hour to repair the tyre and restore the aircraft. Till then the traffic of the passenger aircrafts was held up, the sources said. Director (Airport) G K Khare said two flights - one from Mumbai and another from Delhi - could not arrive on their scheduled time on account of this disruption.